British Columbia's premier Fishing Guides, Charters and Lodges, together with Hunting Outfitters . The chinook salmon has always been British Columbia's most target fish for sport fishing. This trophy fish can tip the scales at more than 32kg/70lb, but there are also other species that promise anglers the fight of their fishing lives. Another iconic BC fish is the steelhead. Revered by anglers, steelhead are considered one of the hardest-fighting and most elusive game fish in the world. Hundreds of British Columbia's rivers have steelhead. The lakes and rivers in every region offer excellent fishing. 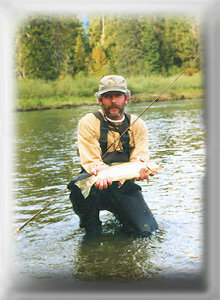 Rainbow trout, cutthroat trout and char are found in most waters, along with species such as whitefish, pike and bass. 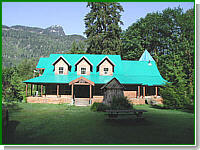 Top notch sport fishing lodges and guides are available throughout British Columbia. We fish for salmon, trout, steelhead and trophy sturgeon on one of British Columbia's most productive rivers. We are located only 30 miles North of Bellingham WA and 50 miles East of Vancouver, B.C. STS Guiding Service offers world class guided Salmon, Trout, Sturgeon and Steelhead fishing on the Fraser River in British Columbia, Canada. We are located just 50 miles east of Vancouver on the Fraser River. Guided Fishing on the Fraser River, Vancouver, British Columbia assures our clients some of the best guided Salmon, Trout, Steelhead and Sturgeon fishing anywhere to be found on the West Coast of British Columbia.